Posted: Thursday 18th December 2014 in News, Retail Strategy, Thought Leadership. Four years ago Carpetright didn’t spend money on online marketing. They regarded their product range as unsuitable for online selling, instead focusing their attention on in-store sales. where customers could book appointments and order flooring samples before purchasing in-store. Carpetright also wanted to give customers the option to complete their purchases online. We were tasked with establishing a tracking method which would allow Carpetright to understand how the online interactions converted into both online and offline sales. We created and developed bespoke technology in order to apply a joined up approach which would mean we could measure the impact of online marketing on offline sales, attributing offline sales that were initiated online back through the user journey to the relevant channel(s). This approach proved to be very successful and Carpetright continued to grow over the following months. At the end of April this year we began advertising their range of beds online alongside the flooring, and by October were seeing a substantial amount of revenue initiated online across both categories. They have since continued to increase their product range and have begun to offer exclusive deals to online customers. In October we were asked to experiment with increased spend, and were granted additional budget with which to try and generate a significant increase in revenue. After carrying out a comprehensive research project to establish where the money was best spent we made the decision to put 70% into paid search, 25% into display advertising and the final 5% into an email campaign. Through these three channels we saw an 11% increase in weekly revenue, with the estimated halo effect on SEO and direct sales taking the overall increase to just under 20%. Based on this success we were then tasked with making a projection for what would be required to surpass a weekly revenue figure of £1m. 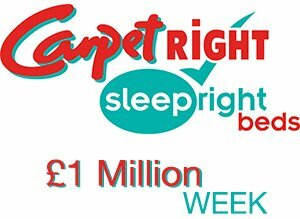 We used our proprietary marketing technology to establish how and from where we could garner the extra sales needed to break Carpetright’s weekly revenue record. We proposed additional spend on paid search and developed a remarketing strategy, based on which were granted extra budget in late November. We were expected to show the results at the end of the following week, which was particularly challenging due to the unavoidable lag time created by the offline/online customer journey. To shorten this lag time we chose to focus particularly on customers who went online to book appointments with Carpetright rather than those who ordered flooring samples. Not having to wait for samples to be delivered allowed us to see the impact of our changes much more quickly. In the last week of November we successfully achieved a £1m week, consisting of revenue from both online sales and offline sales attributed back to an original online action. This fantastic achievement also contributed to a share price jump of 12% at the beginning of December. Our ability to accurately predict where and when Carpetright’s budget is best spent has allowed us to consistently increase margins, and turn an offline business into a hugely successful online retailer. With a new website due to launch in early 2015, Carpetright’s future projections are heavily weighted in favour of online development; something they would not have considered four years ago. 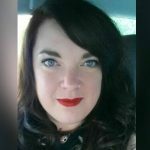 If you have any questions or would like to learn about how Summit can help you make more money online contact Dave Trolle on (01482) 876876.